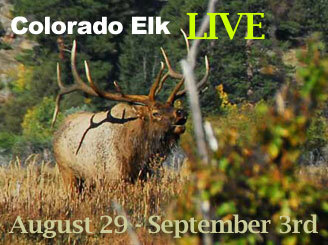 Will the elk still be laughing one week from now? 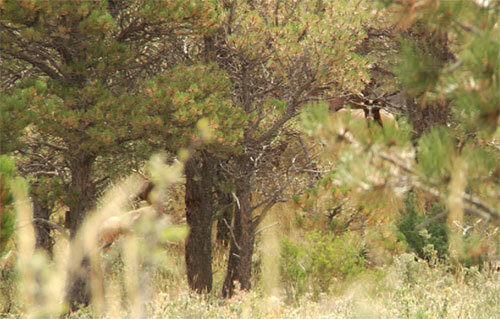 After finally killing a cape buffalo this past June - I have only one nemesis left - an elk. 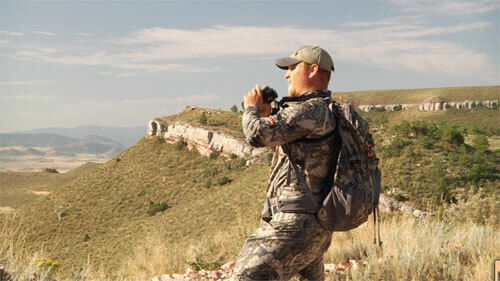 If you can believe it, this is my 12th elk hunt and I have yet to even draw an arrow on one. What a loser. 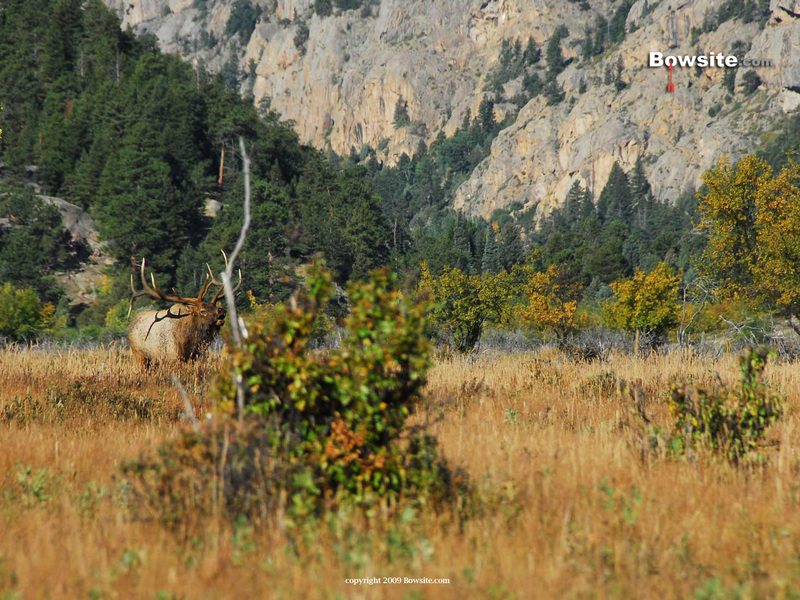 Yes, I've passed on small raghorn elk and even a 300 inch bull in Wyoming (please slap me). But regardless of my past history with the undisputed king of the west, I have every intention of putting an elk down this week. That is, assuming I don't screw up (or do something totally stupid like passing on a 'shooter' bull again this year). You should know that I still won't shoot a small bull, and I won't shoot a cow, but if a mature bull walks by me at 20 yards - look out! Anyone care to wager who will be laughing at the end of this hunt? Pat, or the Elk? Tune in every day to find out. Saturday Morning (opening day) - Live from Colorado! Yes, I am an idiot. As we drove up to the ranch in the pre-dawn hours Wes Atkinson, owner of Atkinson Expeditions spotted a huge herd of elk feeding in the alfalfa. As the sun came up we could clearly see several shooter bulls from spikes all the way to 320 or so inches. But these elk weren't what we were after, there were too many of them here. We wanted the bulls that broke off and headed back up into the red cliffs to the west of the farm fields. And before long we spotted them too. There were several bulls ranging in size from the mid 200's all the way to one giant around 350. We glassed them for a long time before deciding what to do. They were a little spooky and we watched the area they head into. But the wind was wrong for them. About the same time they moved into the trees and we marked them, two bulls were feeding by themselves to the south a thousand yards from the others. One got us curious so we headed up after them and the stalk was on. It took Wes 2 hours to go no more than 400 yards but his meticulous and slow going worked. We found both bulls bedded and totally unaware of our presence. The wind and terrain was perfect for a stalk but I needed to get a good luck at one of them since the other one was clearly too small- around 200". Wes called him at 260" gross and then we swapped positions so I could glass him a little closer. Wes was right, he was a good 6x6 but he looked young and had tremendous potential. Despite my elk curse I really didn't need to kill an elk I would feel bad about later so we snuck out of there. I might regret that decision later but it would have been a shame to kill a young 6x6 that could easily be a 300 next year. This afternoon was slow. We glassed for hours looking to find the herd or the small group of bulls. We did see some but they were on a far hillside. The weather was just flat weird and nothing was moving. We decided to pack it in before dark and get a good night's sleep for a big push tomorrow. 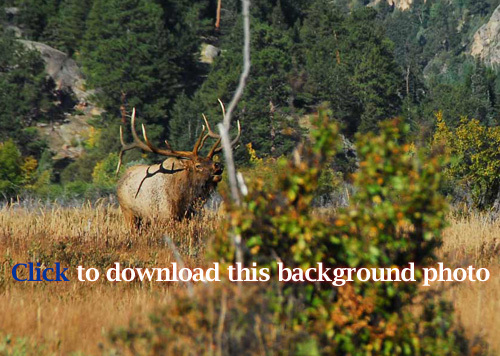 To get you fired up for Elk season you can download this Windows Background. Photo courtesy of Pat Lefemine taken in Colorado in 2008. This Bowhunting Adventure is sponsored by these fine companies..
Our elk hunt takes place in Northern Colorado with Atkinson Expeditions.